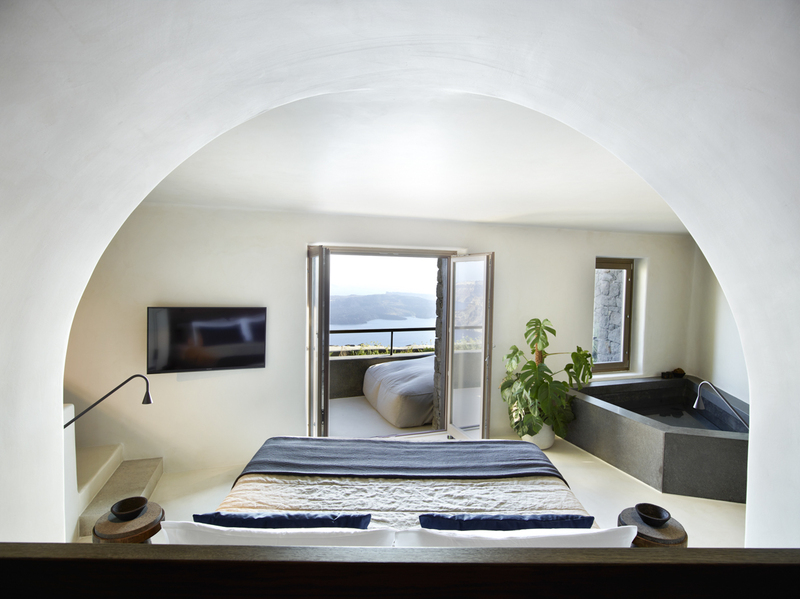 There’s nothing more synonymous with Santorini than elegant white-washed cube-shaped villas hugging the sheer cliffs, and one-bedroom Villa Alpha doesn’t disappoint. 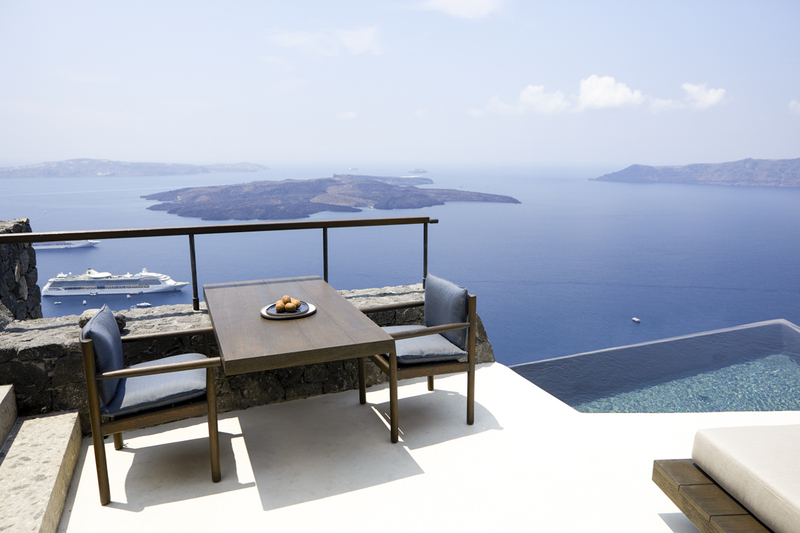 With its breath-taking position overlooking the volcano and glittering Aegean and modern take on traditional Greek architecture with charming arches, marble stone and whitewashed walls, it’s Greece at its finest. 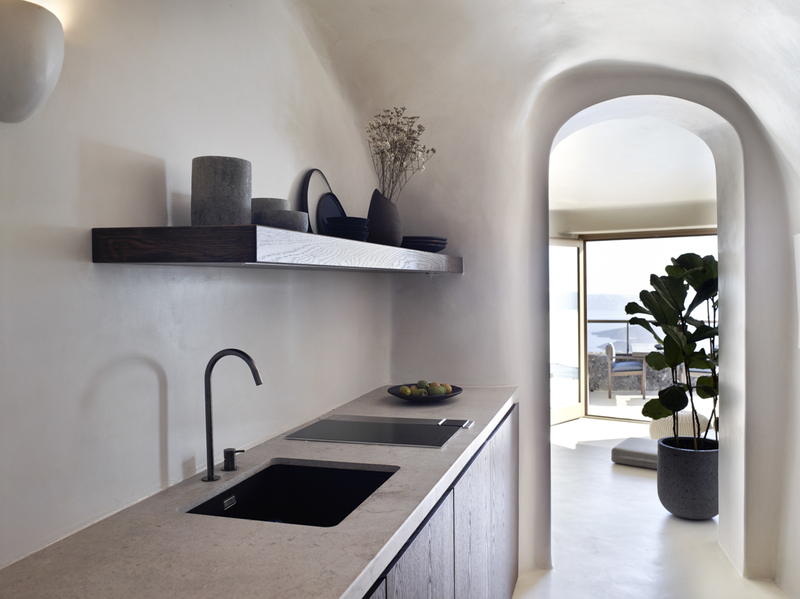 The luxury villa is suspended high above the coastline and boasts a minimalistic Cycladic design with custom-made furniture and a soothing palette of beiges and greys, augmented by dark brown wood. Perhaps one of the main stand-out features, apart from the stunning location, of course, is the villa’s private outdoor infinity swimming pool that looks like it spills straight into the deep turquoise sea. With a fully-equipped kitchen and elegant al fresco dining table making the most of the panoramic vistas, meal times are a magical occasion at Villa Alpha. 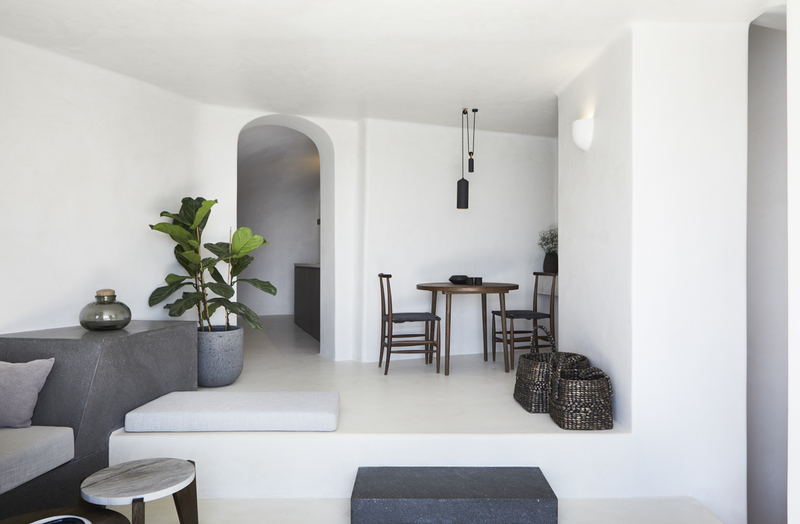 The two terraces are dotted with chic cushion-adorned sun loungers for effortlessly finding your prime spot in the sun or the shade, while the living room has a comfortable sofa and wall-mounted television for those relaxed evenings. 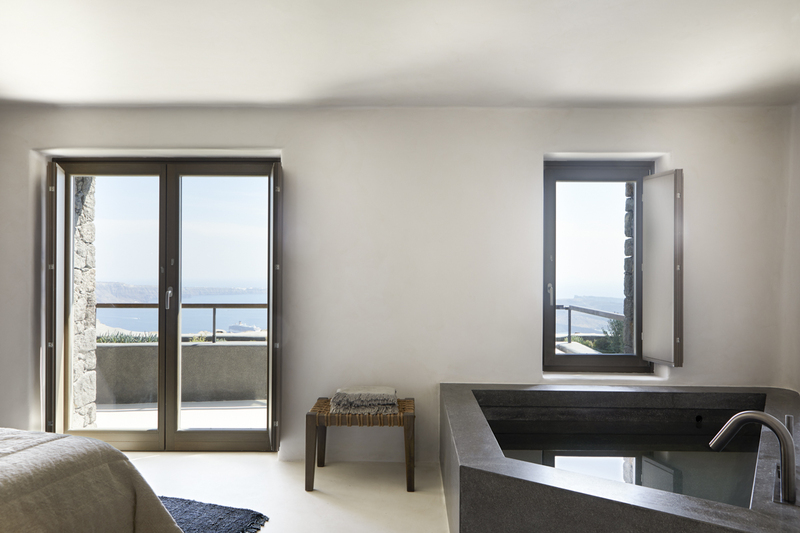 The couple-friendly bedroom is seductive, stylish and serene with a king-size Tempur mattress, a spa-like freestanding bathtub made with local black marble and generously-sized walk-in shower and large double sink – all tapping further into the unique, ‘luxe’ and modern design. 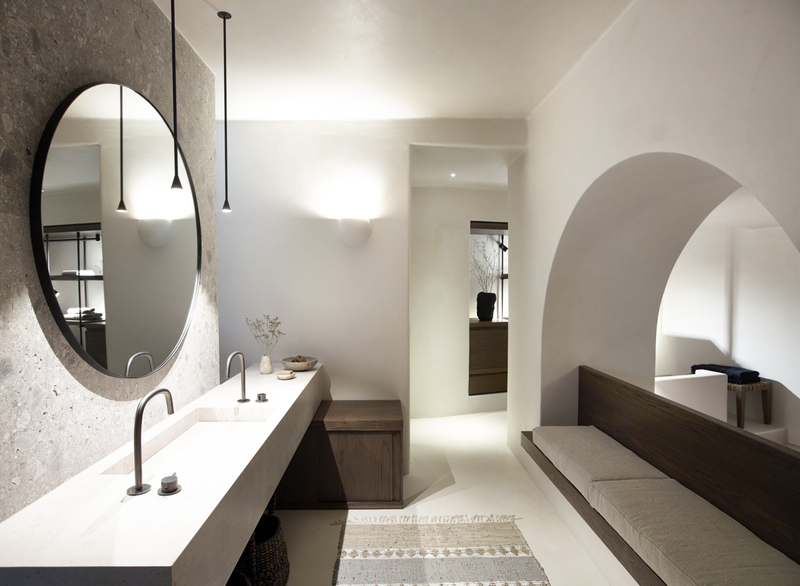 Extra touches like contemporary lamps, mirrors and candles add extra warmth and a feeling of home. Ideally located in a central yet peaceful spot, Villa Alpha offers a perfect place to escape the stresses of everyday life or explore the natural beauty of this stunning region. With exciting archaeological treasures seamlessly integrated into a present-day landscape, alongside soft white sandy beaches and crystal-clear waters, this captivating destination will never cease to amaze and enchant you. 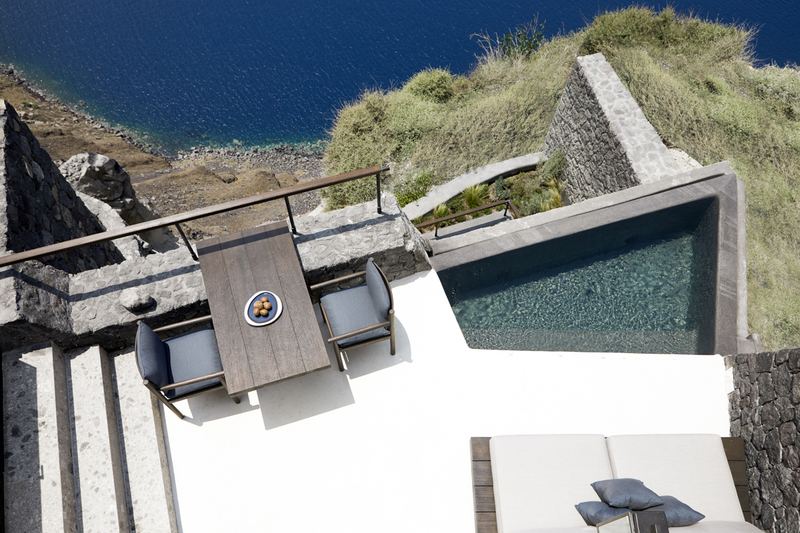 Villa Alpha is in Imerovigli village in Santorini, arguably one of the most dramatic Cyclades islands in the Aegean. This Instagram-worthy destination is best known for its classically Greek cube-shaped whitewashed houses that line the craggy cliffs. Foodies will love the lively tavernas and top-notch restaurants, where just-caught seafood and traditional dishes like moussaka and mezes are always on the menu, while culture fiends can get lost in the narrow streets lined with chic boutiques. Imerovigli is adjacent to the north of the island capital Fira and is mostly famous for its beautiful sunsets. Spend your afternoons visiting the sapphire domes or set sail on a guided boat tour of the nearby volcanic features. You could also spend the day exploring the remains of Skaros, a 13th-century Venetian palace, then top the lot with a classic iced coffee or glass of wine as the sun goes down. 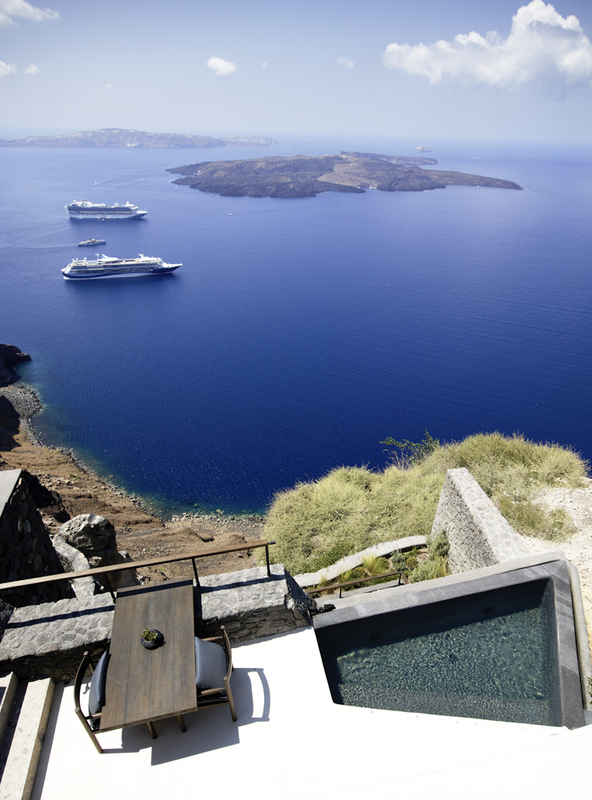 Santorini has some excellent wineries in the region to visit. Adrenaline junkies might like to part in water sports like sea kayaking and parasailing, and scuba diving is also a popular choice in Santorini. There are nearly forty recognised dive sites, mostly around the caldera and its islets. Dive Aspronisi, where damselfish frequent a steeply plunging wall, around the World War II wreck between the two Kameni islets or the freighter with parrot fish. For the outdoor lovers, the hike from Fira to Oria is a must do. The hike takes somewhere between two and five hours depending on your speed (and how many pictures you take along the way). You’ll enjoy magnificent views of the coastline.